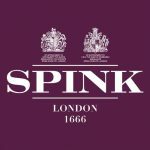 Alan Drysdall graduated, in 1954, with a first class honours degree in geology from Southampton University and after appropriate research, with a PhD in 1957. 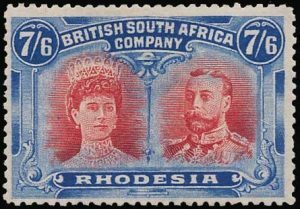 In August 1957, he took up a post with the Geological Survey of Northern Rhodesia, where he lived until 1975. 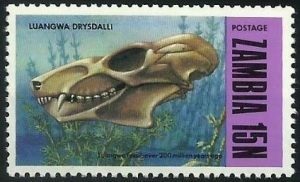 Alan had a distinguished career in Northern Rhodesia, latterly from about 1970 as director of the Zambian Geological Survey, which included having named after him (in 1961) a new genera of scalenodont, a mammal like reptile, Luangwa drysdalli (featured on a stamp released on 1st February 1973) and also, in 1973, having a new mineral species drysdallite named after him. After working on projects in Pakistan and Canada in November 1977 Alan accepted a post in Saudi Arabia, eventually retiring from there in 1990. 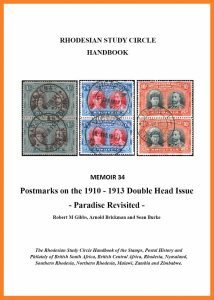 While in Lusaka Alan took up philately again and joined the Lusaka Philatelic Society and in 1971 the RSC and in 1974 the Royal Philatelic Society London. 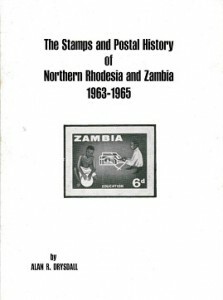 In 1976, his first book was published: The Stamps and Postal History of Northern Rhodesia and Zambia 1963-65, followed, in 1986: by The Nyasaland-Rhodesia Field Force 1914-18 (jointly with Kenneth Pennycuick), in 1988, by The Oates Correspondence; a Postal History of Frank Oates’ Travels in Matabeleland and Zambesia 1873-75 (jointly with Kenneth Wright) and, in 1990, Mashonaland; a Postal History 1890-96 (jointly with Dave Collis). 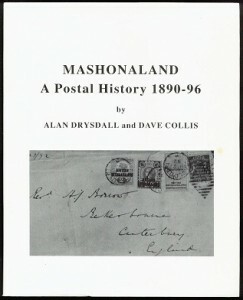 Since these early days Alan wrote prolifically for The Transvaal Philatelist, The Natal and Zululand Post (both of which he edited for many years), the London Philatelist, the Rhodesian Study Circle Journal and the RSC Handbook Memoir series, the South African Philatelist and Gibbons Stamp Monthly and others, and also written a number of books on Transvaal stamps. 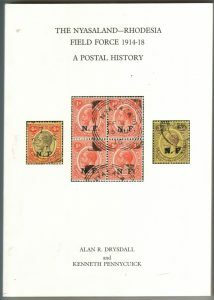 Indeed, the early Transvaal stamps were Alan’s main collecting interest, his collection winning many gold medals at National and International level before it was sold in 2006. 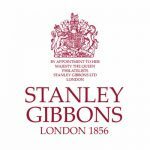 Alan’s preeminence in the world of philately was recognised by many honours, culminating in his signing of the Rolls of Honour in South Africa in 1995 and in England in 2003. Alan Drysdall, President of the RSC 2011-14 and a Life Vice President, died on 11 January 2017.